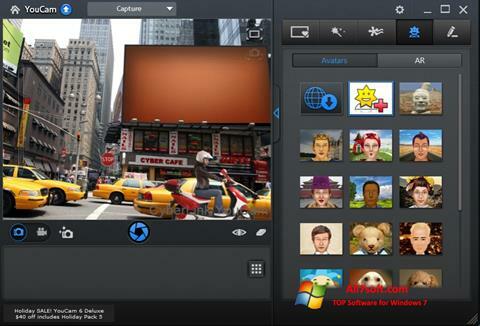 CyberLink YouCam for Windows 7 - A utility that opens new horizons for shooting with a webcam. The user can add to it the effects of distortion or frame. Integrated video capture module from the screen. The software is a multifunctional add-on for the computer. With it, you can quickly create avatars, record video presentations. Picture quality can be improved using a variety of filters. The application features face recognition to enter Windows or on various Internet resources. There is a function to automatically lock the PC in the absence of the user in front of the screen. You can free download CyberLink YouCam official latest version for Windows 7 in English.